International trade is thought to have its routes in 19th century BC with Assyrian merchants. Over centuries the business of exports changed dramatically with evolution in transport modes, advent of Incoterms, standardized shipping containers and computerized customs clearance. Yet for all the progress and record $2.3 trillion amount, exports in the US still remain a complex and not terribly efficient process. Multiple players involved in exports are still largely silo(ed). Even at large companies export related functions like international sales, legal, shipping, banking, financing and insurance often have difficulty communicating with one another. Concepts such as international payment protection mechanisms, US content policy, or US flag shipping requirements are often misunderstood. Generally business approach to managing export transactions is reactive, rather than proactive. Situation is even more difficult in small and mid-size businesses where resources are significantly more scant. A relatively small percentage of businesses export. Of those that do, a large portion exports to only one country. Expanded exports of goods and services represent amazing possibilities not only to help companies grow their profits and shareholder returns, but also to benefit our nation’s economy by creating new jobs and generating additional tax revenues. President Obama’s National Export Initiative has served as a catalyst to spur job growth and along with general economic recovery led to a resurgence of manufacturing activity. More needs to be done, and companies should focus on exports as a fundamental part of their business activities, rather than an afterthought. The entire export ecosystem is ripe for disruption and entry into the technological age. I can envision a day in the very near future when shipping containers of foodstuffs, plane loads of licensed computer equipment, dozens of Ro Ro tractors, or construction cranes will be as simple as buying individual items on eBay or Amazon. Of course handling export transactions is infinitely more complex and requires signed multilingual contracts, letters of credit, export credit and freight insurance, licensing, quality inspections and complex shipping arrangements. Thus the disruption process that is being put in place needs to account for the nuanced complexity that characterizes exports. Step one of the transformation is already on the way. hodology and tools such as: Fi3E™ Export Indices, XPORTINSURE™, FinanceABLE™ and EZShip™ to greatly simplify export operations and mitigate international business risks. 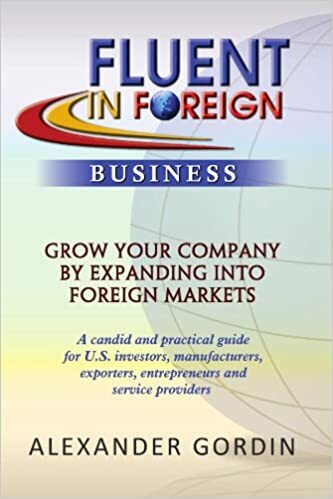 ExportBoost™ was designed to help small and medium companies who are either experienced exporters, or just looking to start their international expansion to significantly grow their exports. ExportBoost™ service has two tiers – one where the exporter is guided by the Broad Street Capital’s professionals and implements the program internally and the second where Broad Street Capital Group implements ExportBoost™ on its client’s behalf. In either case, the clients will be offered a unique guarantee, should they follow the program and their exports do not at least double in 18 months, Broad Street Capital Group will refund all the fees paid by the clients for the ExportBoost™ service. ExportBoost™ is part of the product portfolio being developed by the Broad Street Capital Group, and its partners. to greatly streamline and finance international trading operations. The project code named “Barbell” is scheduled to be unveiled at the Broad Street’s annual conference later this year. Although banking as we know it has its roots in the seventeenth century, many of its features can be traced back to ancient times. Before the introduction of a monetary system there were many instances of transactions involving credit in primitive communities. Early Pacific civilisations used strings of beads as a means of recording debts, even before they were a means of exchange. The Chinese dynasties are full of instances of note issues recorded back as far as 14BC under the Emperor Wu-Ti, who used a form of paper money made from stag skin. In Greece, Babylon and the Roman Empire an extensive international trade demanded banking facilities, such as the lending of money, its exchange in foreign trade and travel, and the safe keeping of deposits. The Greek system was adopted by Egypt and also influenced Rome. The break up of the Roman Empire led to a decline in banking, and, at the same time, usury laws imposed by the Church put restraints on lending. However, banking did not cease completely as the Lombard merchants developed banking in Venice and Genoa in the 12th century. In medieval times an English village community had no need for ‘banking’, but for the merchants in the growing towns, trading at home and abroad, a knowledge of money became essential. Since the Christian Church forbade the lending of money for interest, Jewish immigrants to England, who were barred from ordinary trade, living frugally and no bound by the laws of the Church, filled the need for money lenders. Jews, like many foreigners, had come to England at the time of William the Conqueror. Saxon England had required few money lenders but the Roman and Anglican kings employed Jews to supply them with ready cash in anticipation of their revenue. The Jews became the King’s ‘sponges’ and his Exchequers, collecting his revenue and lending their own money on usury. The Jews became a hated race but survived due to their protection by the King’s troops. Many became rich, like Aron of Lincoln in the reign of King Henry II. In 1290 to appease popular feeling the King withdrew his protection from the Jews, who were subsequently treated cruelly by their Christian neighbours and driven out of England, not to return until Stuart and Hanoverian times. After the Jews were banished in the thirteenth century, a vacuum was left to be filled by Italian merchants from the great trading ports of Northern Italy. Lombard Street, which is still today the heart of London’s financial quarter, takes its name from Lombardy in Italy. Their vocabulary has left us with the words cash, debtor, creditor and ledger; the cryptic letters �.S.D. have only partly been discarded by decimalisation. Perhaps the most significant is the fact that these merchants conducted their business on benches or ‘bancos’ and it is from that work that our ‘bank’ is said to be derived. The Italian merchants arrived at a time when England was changing from a feudal community, with virtually all its wealth in land, to a commercial society in which surplus money needed to be stored and used for profit. This happened in the sixteenth century after a long and stable government under the Tudors, which saw an age of discovery and the beginnings of colonisation; a time of expansion of trade at home and abroad. Moreover, as the Reformation spread throughout Europe, King Henry VIII, at the end of his reign in 1546, repealed the usury laws. Before this the Church disallowed the lending of money with interest; now money could be lent “upon interest according to the King’s Majesty’s Statute at 10 per cent”. This Act was carried further by his daughter, Queen Elizabeth I, and so the foundation of the modern banking system was laid. Englishmen of business followed the example of the Italian merchants. In particular, Sir Thomas Gresham, who as a pioneer of lending and borrowing money in the country, became the greatest of the London merchants and is now looked upon as the “Father of English Banking”. He served Henry VIII; Edward VI; Mary I and Elizabeth I and founded the Royal Exchange in Cornhill, London, as a meeting place for merchants to conduct their business. In the early days the goldsmith had exchanged foreign currency, keeping some in hand to supply travellers abroad and melting down the rest in the course of their basic trade. They had also become recognisable and reliable keepers of money and values for people without their own safe custody facilities. This function was to become more important when, in 1640, Charles I destroyed the reputation of the Royal Mint as the best place for safe custody by seizing the gold. The Royal Mint, originally known as the “Mynte” from the Latin “moneta” meaning money, stood on Tower Hill in London and was the centre for English coinage. Even though Charles I later repaid the money the damage had been done and the confidence lay with the goldsmiths, who paid interest and gave receipts. In 1640 Oliver Cromwell borrowed money from the goldsmiths to help his army in the Civil War, and in 1663, Charles II borrowed �1,300,000 to build a sailing fleet; this he was unable to repay and the Exchequer suspended the repayment. Anxiety naturally arose about the lender policies of the goldsmiths, since, as a side line, it was becoming a risk business, and so they were to develop ‘banks’ as separate entities from their usual business. Goldsmith bankers, as they were known, had developed into an efficient system of private banking in London and were to develop into the famous banking firms, of which some still exist today. Coutts & Company, now affiliated to the National Westminster Bank, dates from 1692. The firm of Duncombe and Kent at the Grasshopper in Lombard Street, is now part of Barclays (formerly Martins). Barclays itself was incorporated in 1896 by the amalgamation of twenty private banks, among which was Gosling & Sharpe, descended from the famous goldsmith shop of “Ye Three Squirrels” in Lombard Street, which flourished under Major Henry Pinckney in Cromwell’s time. The receipts given by goldsmiths for deposits have been compared to modern day cheques. However, it would seem that their similarities, as with Bills of Exchange, was their negotiable nature. Drawn notes only became known as cheques a century later.